The rain forest is a complex and intricate ecosystem supporting half of the world’s current animal species. However, increased demand for timber has led to deforestation and logging of these forests, resulting in negative consequences for many of the animal species dependent on these environments. The destruction of habitat causes animals to flee certain areas and greatly decreases their populations, sometimes resulting in extinction. Animals might die as their habitat is destroyed, and face competition for food, water and other resources as they're forced to migrate to neighboring regions. For these reasons, habitat destruction is one key reason animals become endangered or extinct. Many animals do not survive the initial destruction of their habitats. Many animal species can remain unaware of the deforestation of their area until it is underway. When the tree falls it can kill many of the animals that live in its trunk and canopy. Other animals that survive the initial destruction may not know where to go. Without the food and shelter the tree afforded them they sometimes die of exposure. Animals that lose their native habitats are forced into new areas in search of shelter and food. When animals move to different parts of the forest they combine with populations already living in that space, increasing the number of animals occupying a relatively small area. This causes overconsumption of food resources, and animals can starve although they have escaped the initial destruction. Animals who move sometimes come into contact with humans while searching for an area with a better food supply. Sometimes these animals are simply a nuisance, but other times they can attack humans. Sometimes humans relocate the displaced species to an area where they will not interfere with human habitation, but other times humans respond by attacking or killing the threatening or annoying animal. Without the necessary niche habitat the rain forest provides many species, these animals find themselves without the necessary food and shelter to survive. As a result many members of the species die. The remaining population is often confined to remote areas of undestroyed forest and may no longer have the space or food supply necessary to hold high numbers. As a result these species are categorized as "endangered," meaning their total numbers are so low that there is a possibility they will go extinct. 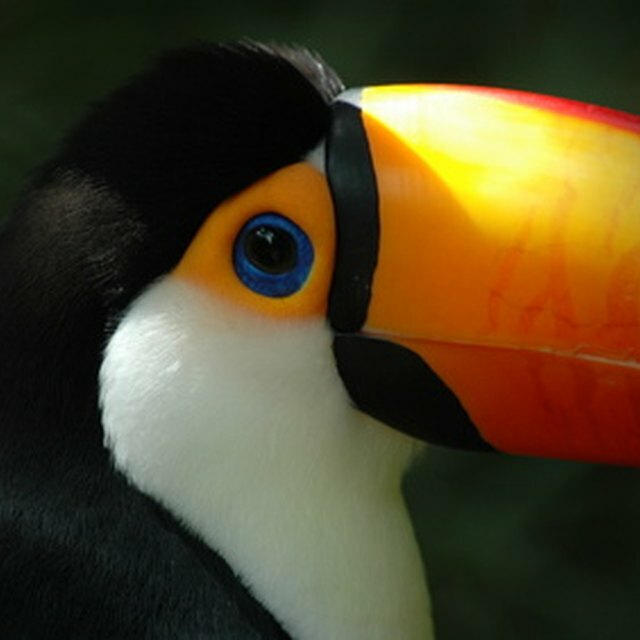 As a result of rain-forest loss, some species find that there is no longer enough space or food to support them at all. Apes and leopards that depend on large areas to roam find their populations decreased dramatically. Sometimes the food supply no longer supports the animals, as necessary vegetables die and prey animals move. Other times the few remaining animals that exist are unable to find each other for reproductive purposes when large areas of destruction isolates them. This halts the continuation of the species and can cause complete extinction. Watkins, Rachel. "What Happens to the Animals in the Rain Forest When It Is Being Cut Down?" Sciencing, https://sciencing.com/happens-forest-being-cut-down-8295787.html. 24 April 2018.